Think robotic companions, creating unique voices for speech-impaired people, and edible food wrappers. Jibo can help with chores and even read bedtime stories to the kids. Now that we are all comfortable talking to artificial personas on our smartphones — “Siri, who are the Sox playing tonight?” — Cynthia Breazeal thinks we’re ready for a robot companion that lives on the kitchen counter. Breazeal took a leave of absence from MIT, where she runs the Personal Robots Group within the Media Lab, to develop Jibo, a playful “family robot” that will cost about $500. Her company started taking pre-orders last summer. Jibo looks a bit like Eve, the white flying droid that costarred in Pixar’s WALL-E. Its chipper personality is dramatically different from creepy robots in sci-fi films, some of which Breazeal worked on as a consultant. Jibo can serve as a videographer, tracking your face as you walk around the room, or read your e-mail as you prepare dinner, or remind you of upcoming appointments. There’s also a bedtime-story feature for kids. Breazeal talks about eventually linking Jibo to security systems and health-monitoring technology, so it can serve as an intelligent observer of the home and its denizens. Do people really want a robot in their lives? Jibo raked in $2.2 million in pre-orders for the product. “We were able to show a lot of interest from consumers and software developers that wanted to create apps for Jibo,” says Breazeal. That enthusiasm led to a $25 million funding round from a group of venture capital firms early this year. The Boston company now employs more than 20 people, including veterans of iRobot, Walt Disney, and Hasbro. A new CEO, Steve Chambers, came from Nuance Communications, the Burlington speech-recognition firm that contributed key technologies to Apple’s Siri. The company intends to hold several hackathons to give software developers a chance to work with Jibo prototypes and plans to begin shipping finished product by the end of the year. Last year, Cambridge startup Soft Robotics debuted a robotic hand that operates with strong but flexible fingers. The word “robot” summons an image of a stiffly moving metallic machine. But imagine a new generation of supple robots that could go about their work with a gentle touch. Those machines are here. Last year, Cambridge startup Soft Robotics debuted a robotic hand that operates with strong but flexible fingers. Powered by air, it can pick up a 10-pound kettlebell but also grasp a bag of chips without damaging the contents. Unlike fingers made of harder materials, these rubber grippers can pick and package fruit and vegetables without leaving a bruise. Empire Robotics, located in Boston’s Innovation District, has radically re-imagined the future of robotic hands by eliminating the fingers. Instead, the rotund rubber “grippers” work like beanbags, enveloping an object, then hardening around it to get a grip. Empire Robotics started out as an experiment in Cornell mechanical engineer Hod Lipson’s lab, where prototypes were made of balloons filled with coffee beans. Empire’s grippers could soon be at work at consumer-goods factories, picking up bottles of shampoo and nail polish. What if speech-impaired people could find an automated voice that suited them? Millions of people rely on automated voices to communicate, but many of them, from young girls to grown men, sound just like Stephen Hawking, the theoretical physicist whose computerized voice is so widely recognized. This made Northeastern University professor Rupal Patel wonder: What if everybody could have a unique voice, combining their own vocalizations with those of a donor of a similar age and background? Last year, Patel, a speech scientist, founded the company VocaliD to do just that. One of the key components is a crowd-sourced voice bank, which allows donors to record themselves on a Web portal reading about 3,500 phrases that contain enough combinations of sounds to create almost any word. In just over a year, more than 25,000 donors have signed up. 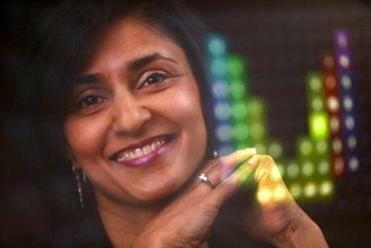 Patel and her team have started creating custom voices for a handful of beta users, and several hundred people are already on the waiting list. Using as little as a sustained vowel sound from a speech-impaired person, the scientists can capture a person’s unique vocal qualities and blend them with a similar-sounding donor to emulate his or her original voice — the first time such a process has been attempted, Patel says. Dave Smith heads up LiquiGlide in Cambridge. LiquiGlide came up with a way to get things like ketchup and shampoo to glide right out of the bottle. Heinz ketchup comes out of a glass bottle at exactly 0.028 miles per hour. Everyone knows how frustrating that can be. 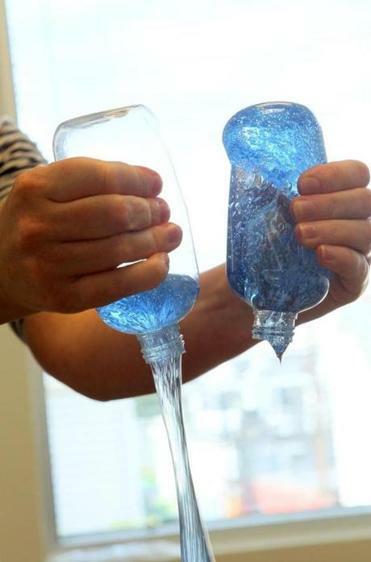 A Cambridge company called LiquiGlide, headed by Dave Smith, came up with a solution, slicking the insides of bottles with a carefully engineered coating so the contents glide right out. 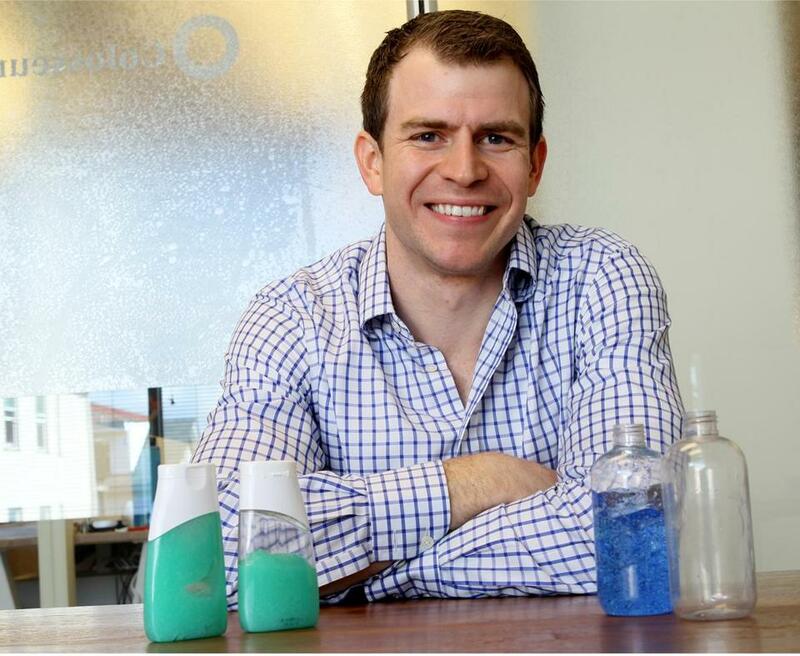 LiquiGlide makes a simple pitch to companies that bottle liquids — whether it’s ketchup, paint, shampoo, or agricultural pesticides: The slippery coating cuts down on waste, and wait time. LiquiGlide recently bagged a first exclusive licensing deal with glue-maker Elmer’s. It also moved into new digs and lab space on Sidney Street. All of the hype surrounding 3-D printing ignores one inconvenient fact: Most 3-D-printed items are less durable than the plastic toy that comes with a Happy Meal. Enter Greg Mark, an MIT-trained aeronautical engineer who unveiled a different kind of 3-D printer in 2014. It creates stiffer, stronger parts reinforced with Kevlar, fiberglass, or carbon fiber. Mark says they have a higher strength-to-weight ratio than aluminum. His machine can fit on a desktop and sells for $5,500 and up. His company, MarkForged, began shipping it last year. Before starting the Somerville business, Mark designed computer-controlled “wings” to give race cars an aerodynamic advantage. He believes his printers will eventually be able to crank out larger components that will be assembled to make bikes, boats, and even complete cars. Perhaps one day at the dealership you’ll customize your own car body — and come back a few days later to drive the car away. Harvard University professor David Edwards offers a simple solution to the problem of waste from food packaging: Just eat the wrapping. Edwards is behind a company called WikiFoods, whose “pearls” filled with Stonyfield frozen yogurt reached the shelves of select Whole Foods supermarkets last year. The treats are pouches of food covered in a washable flavored skin. You can eat them whole or peel off the skin and discard it. The coverings are made of food particles, including coconut and a molecule derived from algae, layered together into films that form a container impermeable to the elements but also delicious. Eastern Labs, the new innovation incubator of nearly 200-year-old Eastern Bank, faces a daunting task: Transform community banking. Housed inside the bank’s Boston offices and funded at $4 million a year, the incubator has for the past 10 months been mining the vast data the bank collects to try and create new loan products, make it easier for customers to get approved for loans, and look for ways to match consumers with existing checking accounts, home loans, or insurance policies. The goal is to improve service, sell more products faster, and eventually sell the technology to other, smaller banks. Dan O’Malley, the head of Eastern Labs, recently handed out copies of the latest tech bible, The Lean Startup, to executives at the bank. “The meat of it is working differently,” he says. Capsules written by Deirdre Fernandes, Scott Kirsner, and Nidhi Subbaraman. Send comments to magazine@globe.com.